Time just flies when you have kids around. My son celebrated his third birthday few days back… I don’t remember if I was so demanding and if my birthday was celebrated this way, with mom and dad planning from almost one month ahead about what to do, how to do, gifts and clothes for the big day. Coming to the recipe, this is from the local German cookbook I bought in the Flohmarket(Flea-market) few months back. I feel that if you look patiently then you can find many useful things in the Flohmarket. How many of you like to visit the Flohmarkets? Pre-heat the oven to 180 degrees Centigrade. Butter and Flour Muffin pan or line it with muffin cups. Sieve together Flour, Baking powder, Baking soda and salt. Add in Orange Peel and mix well. In a separate bowl beat egg till light and fluffy. Whisk in Sugar, Oil, Orange juice and Buttermilk . Add the flour mixture to the Buttermilk mixture in batches, and fold gently till everything is mixed well, with a rubber spatula. Do not over mix the batter. Fold in Chocolate chips . 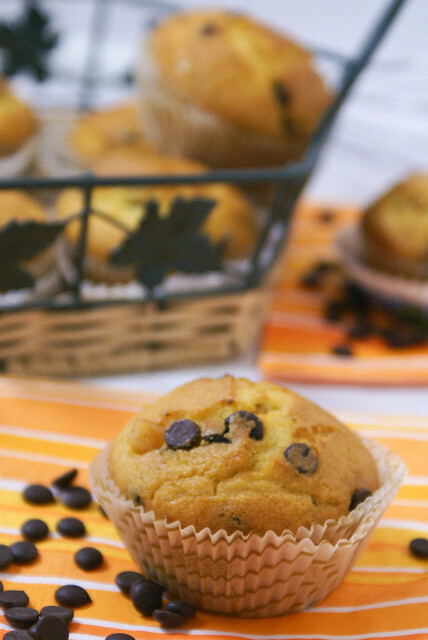 Fill each muffin cup till 3/4th full with batter, using a spoon. Place in the oven and bake until a toothpick inserted in the center of a muffin comes out clean, about 20 – 25 minutes. Transfer to a wire rack and let cool for about 5 – 10 minutes before removing from pan. Simply heavenly looking muffins dear. Wonderfully prepared and excellent combination. Nice baking! and hearty congratulations to you and belated wishes to Ur son..
And. one request actually, can U tell us what camera U use? Ramya.. yeah…some fruits when combined with chocolate taste woderful!! 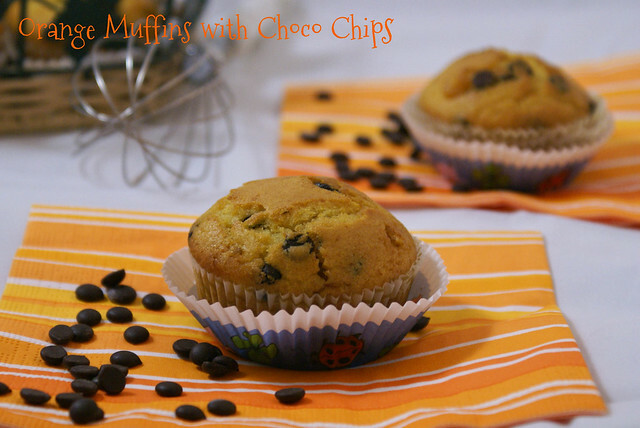 Muffins looks super delicious and divine..
Good to know about you spandana, muffins are cute. Kids would have enjoyed it a lot. Belated B'Day wishes to your son! Happy to follow you. 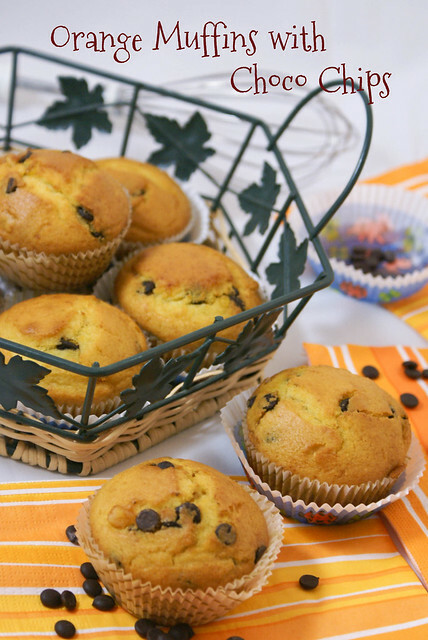 Orange and chocolate is a such lovely combination, and those muffins are perfect to highlight it. Just gorgeous! Lucky kids. The first time my mom made orange-chocolate fudge I was afraid to try it but orange and chocolate go so well together! Even I would say I want one more ok, it looks so tempting!..thanks for sending this across..